Thursday Network - February GBM: Does Black Love Still Exist..? 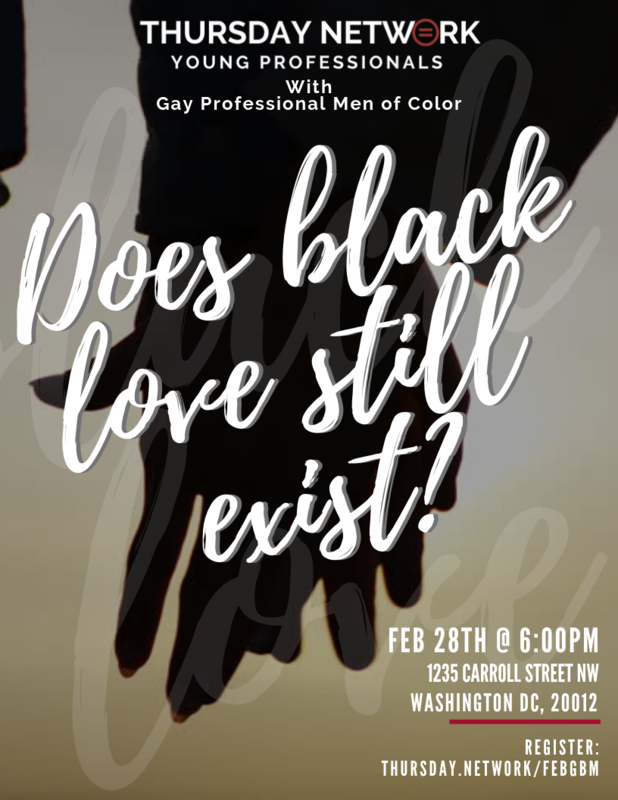 February GBM: Does Black Love Still Exist..? We all have our relationship goal go-tos, but what should real and achievable relationship goals look like? Join us for our February General Body Meeting as we celebrate diverse examples of Black love and discuss developing healthy relationship goals for the young professional. Thursday Network General Body Meeting will start at 6:30. Panel Discussion will start at 7:00.